When we think of trees or shrubbery, we think of landscaping. 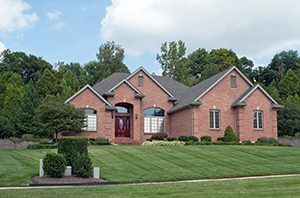 Homeowners who are landscaping their yards or are buying a new home don’t often realize that the beautiful tree in the front yard could cause problems down the road. Quite literally, tree roots can be the “root” of a home’s foundation problems. Before you grab a shovel and try digging up the tree roots that might be the culprit, there are a few things you should know. As foundation repair experts, we know how tree roots affect your home’s foundation and we’re sharing our knowledge with you. Before we launch into how tree roots can damage the foundation of your home, let’s talk about what kind of trees have roots that tend to spread out and find their way underneath your home. Deciduous trees like maples and cottonwoods have tree roots that extend laterally and tend to be very invasive. Conversely, trees like oaks have taproots that extend deep into the ground. If you plan to plant a few trees around your property, it’s best to choose trees that have deeper roots if the trees will be close to your foundation. In some sidewalks or driveways you’ll notice that the concrete or asphalt is cracked or raised due to tree roots growing underneath of it and lifting it out of place. Sometimes that’s the case with our homes’ foundations. However, often times the tree roots aren’t necessarily growing under your home but drinking the water from the soil that lies beneath your home’s foundation. In order to withstand the North Texas heat, trees will drink several gallons of water everyday to keep hydrated. The water that’s sucked away from the soil under your home causes the soil to sink or shift, which causes cracks in your foundation. As trees grow and get older, their roots extend well beyond what you would think. 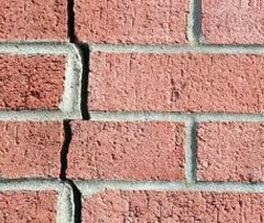 Unfortunately, their roots don’t necessarily understand that they’re encroaching on your home’s foundation and so they continue to grow between existing foundation cracks and underneath the foundation. If the damage is significant, the cost to repair the foundation will be expensive. If the problem has become noticeable recently, then something as simple as a root barrier can be installed to keep the roots from growing towards your home. Do you have a tree roots pushing their way under your home? Are you worried about existing damage? Then let our experts help. Foundation repair is no small DIY job and that’s why we’re here. We can take care of your foundation problems so you don’t have to worry. Contact us today to learn more!